AIRBOURNE CONFIRM IRELAND DATES IN FOR JUNE 2017! Having just recently performed at a sold out Dublin Academy just a few months ago, the Australian hard-rock heroes know to us all as AIRBOURNE, have confirmed their return to Ireland for a headline show back in The Academy in June of 2017. Get all of the details below. The scrappy upstarts from Warrnambool – a country town about 3 hours from Melbourne, announced their arrival with 2007’s Runnin’ Wild, one of the most talked-about and best-reviewed debuts in recent hard rock history. Having won a Golden Gods Award for Best Debut Album and Classic Rock rightly hailed them Best New Band. Airbourne further marked their territory with the jaw-dropping follow up No Guts. No Glory cracking the Top 40 in the UK, the Top 20 in Australia and Billboard’s Top 200. After unrelenting global touring that included co-headlining the legendary Wacken Festival, 2013 brought the critically acclaimed Black Dog Barking into the world. The album reached #5 in Germany, Top 20 across Europe, Australia, and New Zealand; and Top 30 in Canada and the U.K.
Black Dog Barking brought a sound was packed with the type of hard-working blue-collar riffs that would give AC/DC a run for their money back in their heyday. 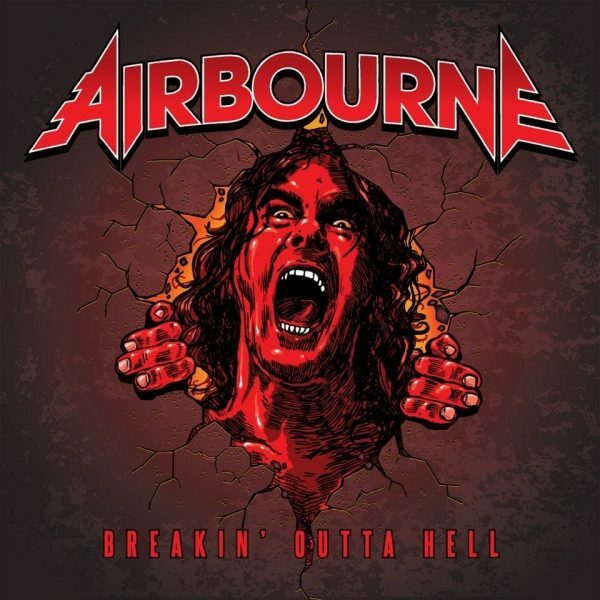 After hundreds of shows, and hundreds of thousands of miles travelled on the road, Airbourne are ready for the next chapter: Breakin’ Outta Hell. 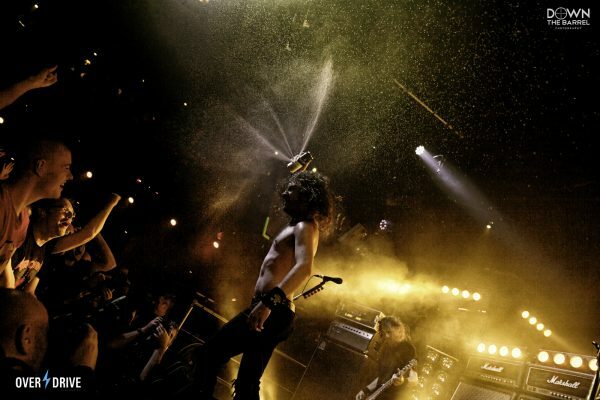 Airbourne’s reputation as a live act is already legendary. With a wall of Marshall cabinets piled high and wide behind them, they put on a show that is as exhilarating as it is immense. 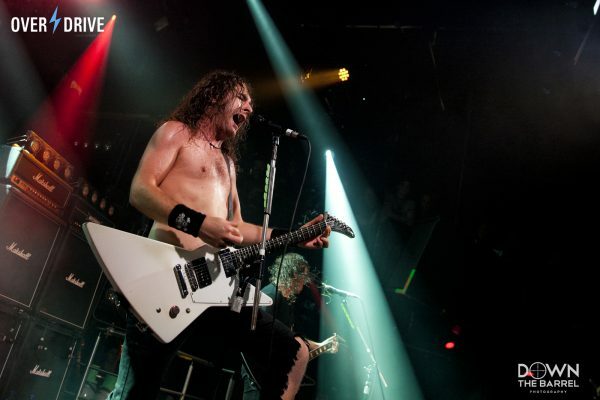 Now that a generation of hard rock legends is nearing the end of the road and playing their final tours, Airbourne is more ready than ever to step up to the plate. Whether diving into the crowd or free-climbing the rigging, Joel is a frontman without fear. 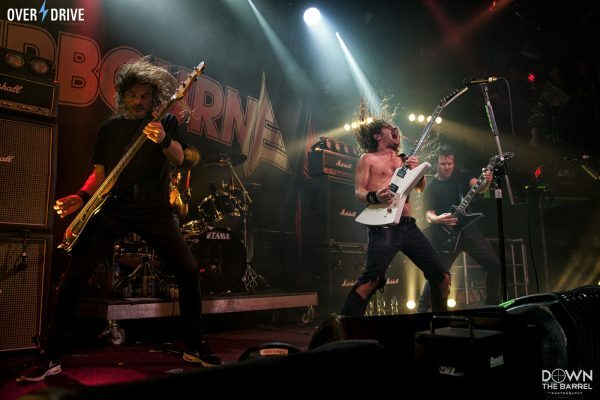 Airbourne will play The Academy, June 6th.